The book, Helter Skelter, written by Charles Manson prosecutor Vincent Bugliosi and Curt Gentry, delivers on its opening promise to scare the hell out of the reader. In so doing, the 1974 book details the criminal prosecution on Manson and his followers from the initial investigation by the police all the way through the appellate process, all the while recounting one of the most chilling, gruesome, and bizarre criminal episodes in the twentieth century. The story of how Manson hypnotized and transfixed a number of all-American twenty-somethings and programmed them to kill for him is both frightening and riveting. It's a good read for the true crime buff and readers seeking to learn a bit more about criminal procedure. It's a shame that neither television adaptation of the book has been worth its salt. The film was first adapted into a television movie in 1976 (more about which anon). The more recent adaptation, which aired on CBS in May of 2004, featured Jeremy Davies as Manson. You might recall Davies as the shell shocked translator from 1998's Saving Private Ryan. (In fact there is occasionally a slight trace of his Manson performance in his far more recent role as mad scientist Daniel Faraday on TV's "Lost."). As Manson, Davies' performance seemed a bit over-the-top, and that might be because Manson himself is over-the-top, but Davies came off far more silly than cold, calculating, and manipulative. With the exception of Bruno Kirby as Bugliosi and Clea DuVall as the reluctant Manson-girl-turned-state's-witness Linda Kasabian, the remaining cast was mostly comprised of unknowns. (The late Kirby, of course, you know from City Slickers and When Harry Met Sally, while you might have encountered DuVall in HBO's Carnivale or the terrible 2003 John Cusack "suspense" thriller, Identity.). As a film, the 2004 adaptation is mostly boilerplate, influenced more by those modern, awful cop procedural programs than anything truly innovative. (I remember hearing something a few years back about Oliver Stone possibly directing a remake of Helter Skelter, but alas, it was not to be.). 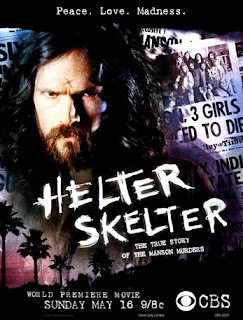 The problem with bringing Helter Skelter to the large or small screen is that there are many, many facts to convey in order to give the narrative its proper scope and context. You have to introduce a myriad characters (cops, murderers, victims, witnesses), but also provide a meaningful glance into how it was that Manson was able to control his followers. In two or three hours, this is a very difficult task. (That is one reason why Stone would have been a stellar choice to helm such a project. Regardless of what one feels about the conspiratorial nonsense in his JFK and the historical inaccuracies in Nixon, those two films indicate that Stone, as a director, can showcase a lot of information and minor historical episodes without any accompanying tedium. Using different cameras, quick cuts, and stylized shots, Stone can establish historical context and keep the pace). The 2004 version of "Helter Skelter," however, was not up to the job, and its pacing was, frankly, a bit boring, the last thing a film about the crime of the century should be. It would have been a bit more interesting if the director had cast actors recognizable as sweet and clean-cut American teenagers as the Manson Family instead of unknown talent. If the viewer saw someone like Katie Holmes (recognizable for both her marital mistakes and "Dawson's Creek") as Leslie Van Houten, the point might be driven home better that these were normal American teenagers until Manson took hold of them and programmed them to follow him. Natalie Portman as the now late Susan Atkins would have been far more intriguing, but of course, she doesn't do television. (Unwatchable films are apparently still more prestigious.). This is not to say that original 1976 version of "Helter Skelter" (with Steve Railsback as Manson) was much better. 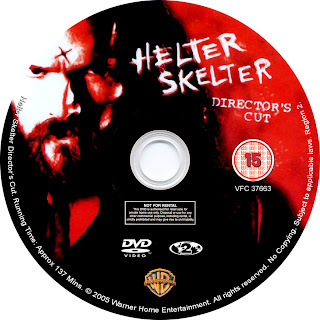 If memory serves, the original version did not even have a version of the song "Helter Skelter" on its soundtrack, while the 2004 version did at least open its credits with a an alt-rock version of the old Beatles song. Perhaps the producers didn't want to use the Motley Crue or U2 versions? Railsback's Manson was equally cartoonish, and as a 1976 television movie, it was aimed at television viewers far less sophisticated than those of today. Paging Oliver Stone?